As a responsible owner of an apartment complex, you do your best to maintain a positive, inviting aesthetic to attract as many visitors as possible. This means that you are always on top of maintenance, repairs, and cleaning. It’s a lot of work to stay on top of everything that needs to get done, so streamlining some of those processes is crucial for your time management as an owner. Fortunately, there are professional services that offer assistance in keeping your apartment complex properly maintained. 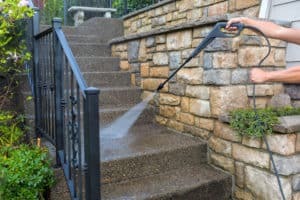 When it comes to apartment pressure washing services, there are several noticeable benefits to hiring a professional service for it. Consider the following five. About 50% of all households in the United States are renters of property instead of owners. That’s a lot of people and great news for you, but how are you going to stand out compared to your competitors? Well, you have to make a great first impression to convince potential renters that your complex is truly their best option. Getting your complex pressure washed will ensure that visitors aren’t welcomed with unsavory sights or smells on your property. It’s true, you could possibly be fined if your apartment complex is not properly cleaned and cared for. Tenants have rights, and one of those rights is a reasonable level of cleanliness. Instead of trying to keep up with all of the little cleaning duties, consider an apartment pressure washing service that could ensure you avoid fines on a regular basis. If you regularly keep your apartment complex clean, you can be sure that managing it will be easier in the long run. If you remove the grime and dirt that builds up over time, it could assist the efforts of your tenants’ air filters, for example. Cleanliness also makes it more difficult for mold to grow or for wood to rot. Avoiding these issues as much as possible will save you time and headaches in the future. Your tenants deserve to live in a clean, healthy environment. Plus, they will be much more positive in a properly pressure-washed environment, because they won’t be surrounded by the filth that can dampen a mood. If they notice the particular care that goes into apartment pressure washing, it is possible they will be motivated to maintain the same level of cleanliness in their rental units! Fortunately, the apartment industry’s market conditions are not hurting as much as they were about a decade ago. Vacancies are down, and cost of renting is up. Maintain your property’s value in this growing market by keeping it properly cleaned on a regular basis. You might want to sell it in the future, and at that point, it should be in its best condition. Make sure you take care to keep your apartment complex’s exterior inviting and sleek to attract and keep the best tenants. Since there is a lot that goes into proper pressure washing, you should consider hiring professionals to take care of it for you. Our expertise in the exterior cleaning of apartment complexes will surely get the job done for you efficiently and with attention to detail. Check out our apartment complex pressure washing services today to schedule yours. You won’t regret it!